I think we all witnessed great things over the weekend. An absolutely epic fight between Theirry Neuville/Nicolas Gilsoul and Sebastien Ogier/Julian Ingrassia led us to the closest Monte-Carlo Rallye in history. Just 0.4 between them going into the final stage and just 2.2 coming out of the final stage. And we all got to see it live. 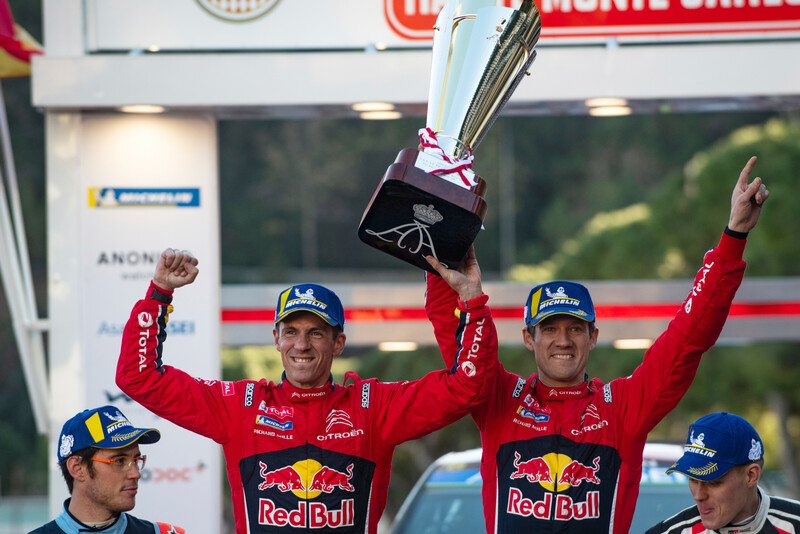 Ogier and Ingrassia’s feat is nothing less than otherworldly. Taking 6 Montes in a row, now with four different manufacturers. Record equaling stuff. And in this day and age where drivers are treated as corporate assets, being able to move around and achieve such things with these different teams is nothing sport of absolutely impressive. He has won with Peugeot, Volkswagen, M-Sport and Citroen. The former two are probably not as amazing as the latter two. The Peugeot 207 S2000 was THE car to have. The Volkswagen Polo WRC was THE car to have. However, the M-Sport was a great car but underfunded compared to their rivals and the Citroen – well we know it good on smooth surfaces but this time last year, a team in disarray and in need of greatness to win. For me, it was a risk to take Ogier on at Citroen. If he couldn’t win, we knew it had to be a terrible car. But so far, with Citroen’s 100th win in their 100th year, with a Frenchman on (essentially) French soil, the gamble is paying off. The other piece of greatness was Fernando Alonso. Before you start, it was an incredible drive from Jordan Taylor, Renger van der Zander and Kamui Kobayashi. The entire Wayne Taylor Racing squad needs to be congratulated. It is a team sport. No one wins the Daytona 24 alone. But to not be in awe of what Alonso can do is to be willfully stubborn of what is happening in front of you. His stints in the rain and during the night are nothing short of epic. You can’t forget that this is only his second race in a DPi. On a track where the is never a break from traffic and when he doesn’t have that Toyota help he has in the WEC. I once spoke to Stephane Sarrazin who said that drivers don’t race elsewhere because there is a fear that they will be found out. You have to admire Alonso, many already thinking he is the GOAT to go out there and drive. His love of motorsport is something to admire and it would be nice if other F1 drivers found their path to the same. Alonso is almost a throwback to a previous generation. Forcing down the walls of the F1 hegemony, showing that paddock what we already know, there is life outside F1, and 99.9% of the time, it is better. We also have to pay tribute to Alex Zanardi. 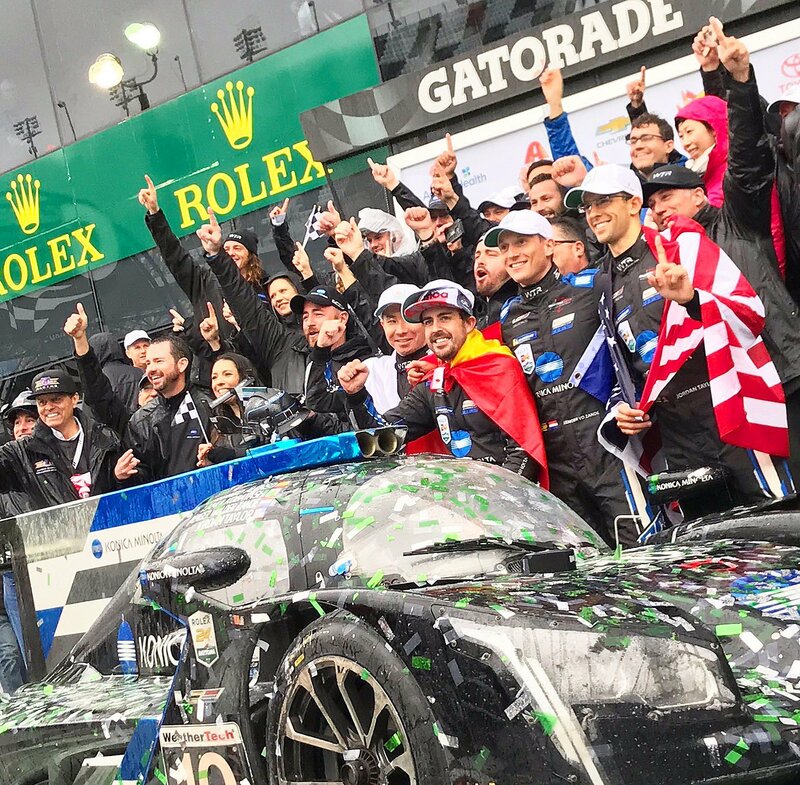 Racing Daytona with the hand controls on the BMW – the man is an inspiration and while his car didn’t win GTE it was fitting that BMW took the win just days after Charly Lamm. 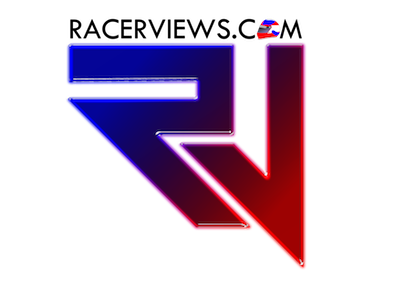 Another shoutout to the excellent team at WRCLive. A great innovation in motorsport and offering incredible access to the sport we love so much. Yes they had a couple of issues though the rally, issues they probably should have guarded against. Frustrating, yes but the level of hyperbole thrown in their direction on Twitter was unneeded. There are people there doing an incredible job on probably a fraction of the budget actually needed to cover a sport like the WRC. They deliver a product that is almost always reliable. We have to remember that Optus failed at streaming the World Cup football and the WTCR’s effort to livestream was (strategically) a spectacular failure in 2018. I think we all have to step back a little and remember there are people on the other end of the twitter stream taking your hate while trying to fix the problem. Sports like the WRC need our support, not our hate. It isn’t a mega sport. It can’t be like F1 that can receive hate after hate and still survive. We need to get behind it and help it. Be positive. Be a friend, not a frenemy. 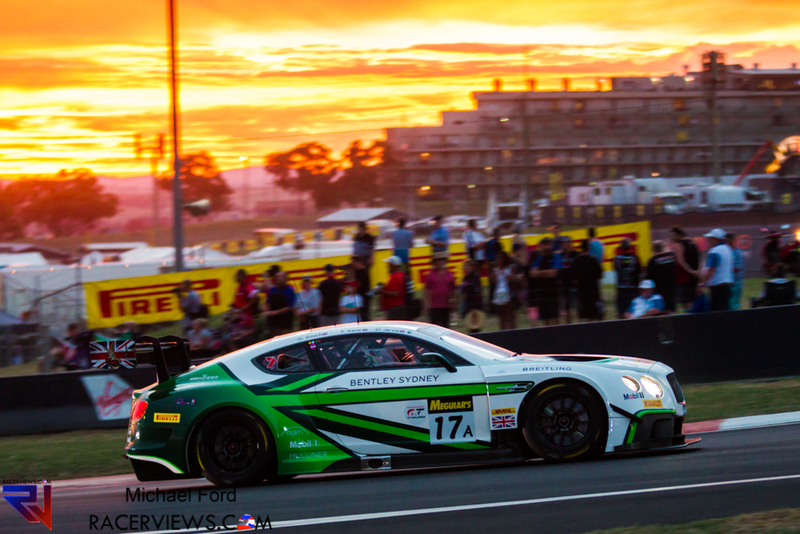 Finally, we are on to the Bathurst 12 Hour this weekend. Yes we will be there and no, I still can’t pick a winner. With storms rolling through the region lately and the area being trapped in heat-wave, the conditions will be difficult at best. Pirelli will have more than 2000 tyres on hand for their 41 competitors. Not only is there the main race but Formula Ford, Combined Sedans and the Radical Cup will also be in action.